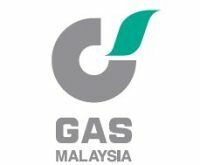 Gas Malaysia Bhd, the sole supplier of natural gas to the non-power sector is scheduled to be listed in Main Market of Bursa Malaysia on 11th June 2012. The Initial Public Offering (IPO) consists of offer for sale of 333.84 million ordinary shares at an indicative price of RM2.20 per share at RM0.50 par value. The final price will be the lower of RM2.20 and institutional price. Out of 333.8 million offer for sale shares, 303.3 million shares are for selected & institutional investors, while 30.5 million shares for application by Malaysian public eligible directors and employees of Gas Malaysia Berhad.